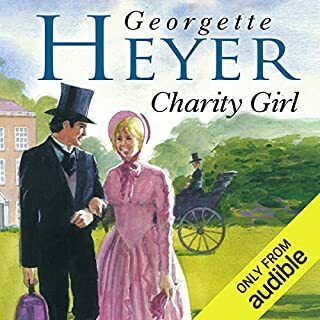 Listening to a Georgette Heyer is my favourite way to while away an afternoon. True, there may be no great surprises but when read well, as Phyllida Nash does, there is something soothing and sweet, with a good sense of fun. Her storylines have a 'feel good' effect that I am yet to find equaled in another author. 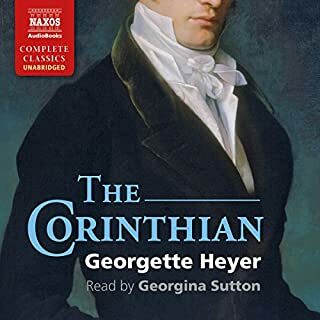 This is one of Georgette Heyer's delightfully funny romances with well drawn characters and authentic detail. Narration was well done and only disappointment is that about the last fifth of Chapter 20 is missing. I dislike abridged audio recordings and as this was an unabridged version I assume it is a production fault rather than a deliberate cut. Phyllida Nash's excellent performance lets the quirky, likeable characters sparkle in this wonderful, witty comedy. After a few calm pages that let us find our balance, Kit learns that his mother and brother are teetering on the brink of crisis. After that, it's unexpected turns and convolutions all the way to the end. The story would be amusing and thoroughly satisfying even if you've never heard of Regency England. But having more background lets you appreciate its breadth and depth of authenticity. If this were a movie, it would get a whole bundle of Oscar nominations: screenplay, leading and supporting character performances, costumes, setting, cinematography, and direction. It all seems light and effortless, but wow, it's a delightful masterpiece. A rather Woodhouseian Heyer and a great reader! 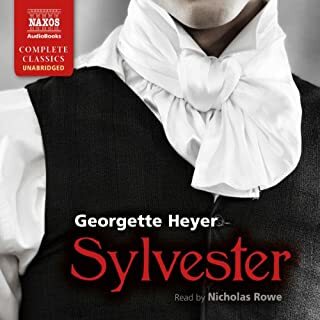 Phyllida Nash is my favorite reader for Georgette Heyer books. Heyer builds her stories with sparkling dialog, and Nash is spot on with all voices. As with many Heyer book's this one relies on situational comedy, and Nash has unfailingly perfect timing in her reading that makes the most of the comedy. I had read this book in print, and I will say that Nash's performance makes it even better. As the story unfolds, I was reminded of Shakespeare's comedies and some Wooster/Jeeves misunderstandings, but even when Heyer's characters are silly, she draws them with so much affection, they don't come off as completely ridiculous. What did you love best about False Colours? The main characters: the cool Kit, his lovely mother and smart Cressy, his beloved. They are wonderfully portrayed, complex human beings that go through several transformations in their feelings and relationships as the novel progresses. First, the setup: serious Kit poses as his rakish twin brother, Evelyn, who is nowhere to be found and must appear at a family function to save his upcoming nuptials. The hoax turns out to be much more complicated than originally envisioned, making for a thoroughly enjoyable plot. Also I greatly enjoyed the description of an English manor house in the early 19th century, the food, the clothing and the general setting. It's full of interesting detail that brings an old story into the present. I listened to and enjoyed the Black Moth. 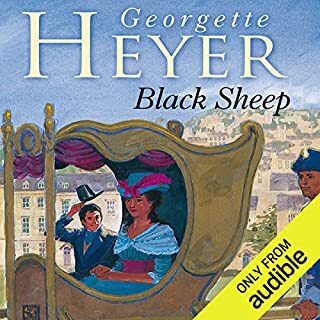 I'm looking forward to more books by Georgette Heyer, a novelist I feel fortunate to have discovered. 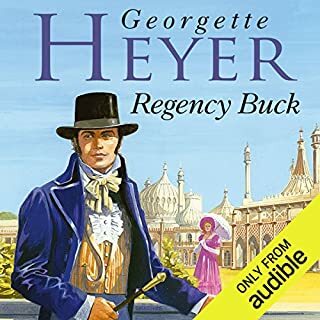 I've been reading Georgette Heyer's regencies for years - some of the books many times. "False Colours" has never been one of my favorites. That said, this is still so much better than most romances. The age-old plot of twins being mistaken for each other is used effectively. There's sparkle and wit in the characters and some question as to how the whole thing will be resolved. 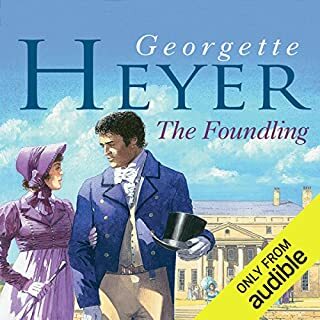 Even secondary Heyer makes for a diverting and enjoyable listen! 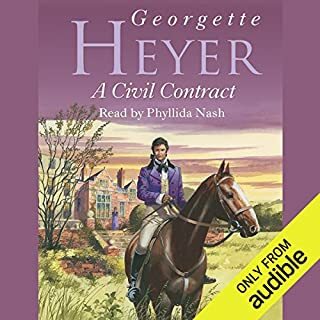 I think Phyllida Nash is a wonderful narrator for Georgette Heyer. Omigod this book was SO FUN. It was just pure delight and put a smile on my face more than once. Which felt a bit silly because I was listening to an audiobook, usually on public transport, and sitting there grinning like a fool to myself. But I didn't care because it was awesome. What could be more fun that twins switch places? Oh right, hot twins switching places. In Regency England. And having to pretend to be engaged. And actually falling in love. And all the many complications such a situation entails. You see, Lord Denville disappears, which is not necessarily something for his family to worry about, coz he's like that, except he's supposed to meet his new fiance's family. It's a marriage of convenience on both sides but it's important because his mother is badly in debt and he needs to get married to get his inheritance and help her out. Luckily, his twin Kit, who lives overseas, has a bad feeling in his gut and shows up just in time to pretend to be his brother for one night for the important dinner. Except one night turns into weeks when his brother's fiance's grandmother invites herself and her grandaughter to stay with Kit-as-Denville and his mother at their house in the country. Hilarity ensues. But, importantly, this story isn't mere farce, thanks largely to the touching and genuine-feeling relationships. Kit is devoted to his brother and mother - indeed it's the only reason he allows himself to be dragged into the kerfuffle to begin with - and both are equally devoted to him. There is so much endearing affection in every interaction between the three, but especially between Kit and his mother, as it's their relationship that is at the centre of much of the book. I also really liked the openness and communicative nature of Kit's developing relationship with Cressy, false identity notwithstanding. There was a delightful chemistry between them and it was all very charming. Even Kit's relationships with his devoted-but-blunt servants were heartwarming. Phyllida Nash was a great narrator, with an engaging voice, distinct and natural-sounding characters and easy pace. 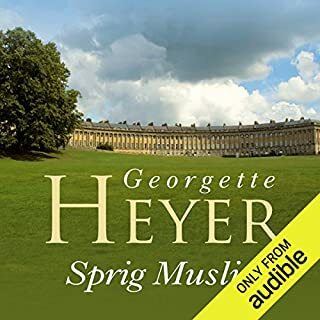 However, perhaps because I'm not overly familiar with Heyer's writing, having only read a couple of her works years ago, I did struggle with the language a bit. While it being an audiobook helped somewhat with understanding the tone, it did have the downside of not really being able to stop and look up a work or phrase when I needed to (otherwise I would have been doing so constantly). A few times I was a bit confused and had to relisten, and eventually I did look up a Heyer glossary which helped a little. But I didn't really mind relistening, anyway - in fact, I quite enjoyed it. That's how much fun it was. 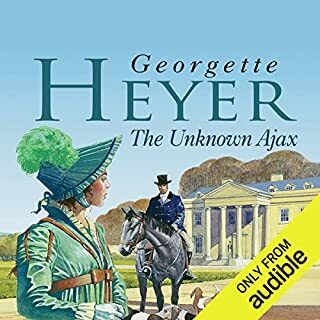 Even without fully comprehending everything, I adored this story, and definitely want to read - or listen to - more of Heyer's work. What made the experience of listening to False Colours the most enjoyable? 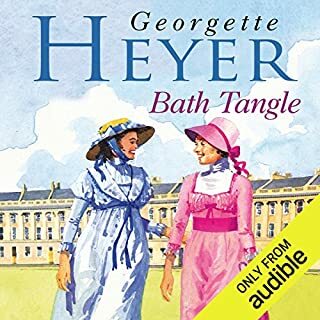 Georgette Heyer's story about one twin taking the place of another was tons of fun. Heyer really knows how to draw a character. What was one of the most memorable moments of False Colours? The moment I enjoyed most in the book was when Kit Fancot, the twin who was forced to step into his brother's shoes, creates a scheme to untangle the tangle the deception caused. The performance was superb as is usual with Phylida Nash. I don't know how one voice can portray numerous characters, male and female, but she pulls it off. This audio version is a delightfully well done performance. I love the story of one twin taking his missing brothers place and the ensuing romantic tangle. Kit is one of my favorite Heyer heroes, and let's face it, all of Heyer's men are delectable! 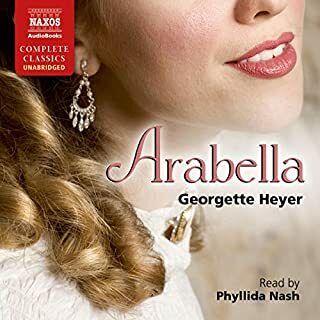 Not my favourite Georgette Heyer Novel, but Phyllida Nash and her charming narration (oh she so brings out the sparkle of Lady Danville) makes this one of my favourite audios. Unusual for a Heyer to be so strongly written in the male point of view, but Kit Fancot is an honourable, stylish witty character. This is not an action filled story, but the character development and relationships, and the wonderful writing is a pure joy. If you enjoy a well written tale with amusing dialogue and a gallery of supporting characters, with fun mixed with decorum - and where the author totally understands the period with many incidental details - this is definitely for you. I have consumed this story in one hit! Impeccably written and presented, as well as laugh out loud funny. Highly recommended. 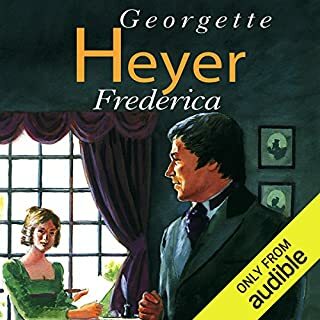 I'm a longtime Georgette Heyer fan, and have read this title in print several times before. I decided to give it a go in audio format, and I'm pleased that I did. For those who haven't encountered Georgette Heyer before, she is the Regency author that all others aspire to match. Her characters are plausible and likeable even in the ridiculous situations the genre often puts them in. The women are empowered, enterprising and enchanting. The men range from good-hearted fools through dashing heroes to villians with enough humanity for our sympathy and their redemption. 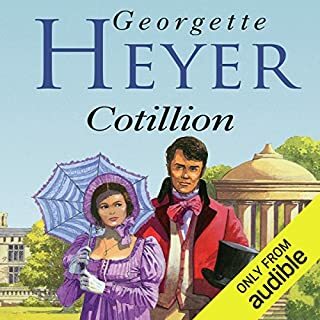 Heyer's strongest works are usually held to be "The Grand Sophy", "Frederica" and "Sylvester", but I'd throw "Cotillion" in there too. "False Colours" is not Heyer's absolute best, but even her average work still makes for very entertaining light reading. Without revealing two much of the plot: the eldest of a pair of twins gets engaged and then disappears. His "more sober" younger brother returns from overseas and is talked into impersonating him at a dinner party. He becomes trapped in the new identity as things spiral out of control. All of the main characters are likeable. The side-characters appear as entertaining stereotypes, but are have a habit of revealing an extra dimension. The reading by Phyllida Nash is competent and smooth. I found a female narrator a bit disconcerting because even though the author is female, the protagonist, Kit, is male and does more than his fair share of the speaking. This may just be that I've read the book before and the narrator gave Kit such a different voice than I imagined. Overall this works well as an audio book. I was a bit nervous about spending a credit on a light novel that I'd read before, but it made for an entertaining diversion. Anyone who had nothing better to do than read my few reviews is going to reckon I have no discrimination - I've given straight 5s to virtually all the Georgette Heyers. That's because they are good. This is another slight surprise. A good book but not one I rated as one of her greatest. The usual Heyer cast of characters; twin brothers Kit and Evelyn who look and sound identical but are very different in character, their completely daffy and feckless but loving mother whose grasp of economics is non-existent, a classic Heyer heroine in Cressy; not especially young, not especially beautiful, but with warmth, common sense and a real sense of humour. They are all leavened by a elderly grandmother used to laying down the law, some gloriously awful relatives and a rather nice anti-hero in the way of a grossly overweight and lazy elderly friend of the Prince Regent. The icing on the cake is the rather over the hill lady of easy virtue who puts in a virtuoso, and very funny, appearance towards the end. The plot? One twin goes missing at a vital time in his life, the other steps into the breach, misunderstandings, twists, turns and confusion and a nicely convoluted happy ending. Typical Heyer really and very enjoyable. The slight surprise? How much better it was listening to it rather than reading it. After more years than I care to remember lovingly revisiting my dog eared paper backs, dragged around the world with me since my teens back in the dark ages, I'm loving the commute to work playing them in the car. The reader is Phyllida Nash, and once again she really brings them all the life with all the voices individual and believable Try it yourself - see if you don't love it! Would you listen to False Colours again? Why? 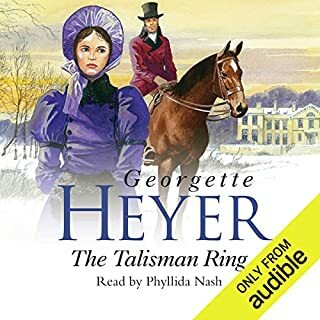 I love Georgette Heyer and all her Regency tales but listening to False Colours read to me by Phyllida Nash was like hearing it for the first time. Wonderful. Georgette Heyer's novels are funny and invocative and romantic. Pure pleasure. What about Phyllida Nash’s performance did you like? The narration is impeccable, what a talented soul Phyllida Nash is, simply marvellous... Listening with eyes closed you could imagine her acting the parts as well. Her voice is wonderful, the tone, inflection and humour she conveys is just compelling. I loved it. She has the ability to draw you in and carry you on... I have lost sleep not wanting to cease listening! 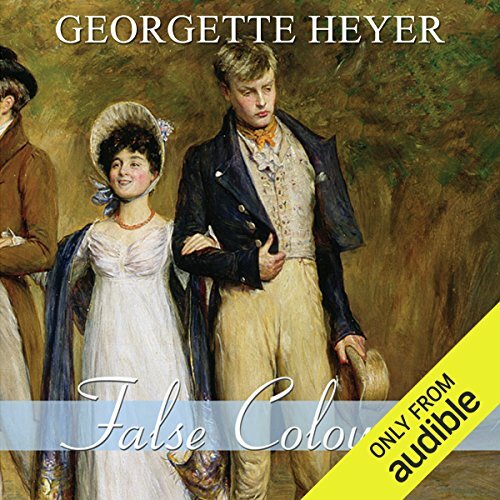 False Colours is yet another variation on Georgette Heyer's variegated Regency theme! Tongue-in-cheek, ironic. Beautifully interpreted by Ms Nash! What did you like most about False Colours? I read a past comment on a book, where the reader was disappointed by the narrator. She said she was sorry that Phyllida Nash had not been used as she was so perfect. That was the reason I decided to choose False Colours - my first from Audible - and I have not been disappointed. 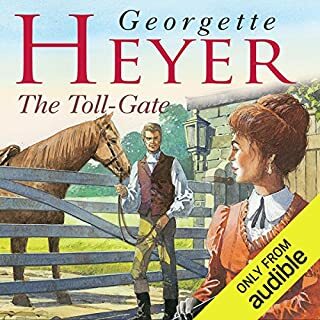 I have read all Georgette Heyer's historical novels and now like to listen to them on long drives. This one was perfect! Thank you again, Phyllida Nash! 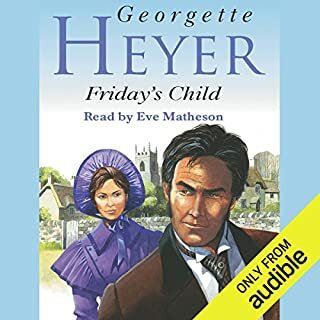 I have loved Georgette Heyer's books for ages and Phyllida Nash's renditions of them are just great! She brings the characters to life and the rhythm of her narration is absolutely right. 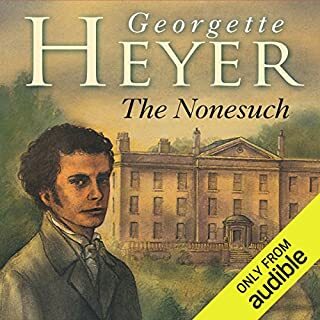 I'm eagerly waiting for more of Heyer's books to come to Audible - unabridged and read by Phyllida Nash. Heyer is my all time favourite storyteller . If I feel I need to laugh out loud I read her books. False Colours supplies the humour but I can't engage with these characters so much . My favourite is probably Sir Bonamy Ripple an ageing experienced roue who still manages to be a young boy at heart. If you could sum up False Colours in three words, what would they be? The narration by Phyllida Nash makes the characters come alive. She is able to interpret the humour and wit so well that I often find myself laughing out loud. Her ability to interpret and personalise the characters make it easy to follow conversations between characters. I loved it, as I do all Georgette Heyer books. I cannot help but laugh out loud! 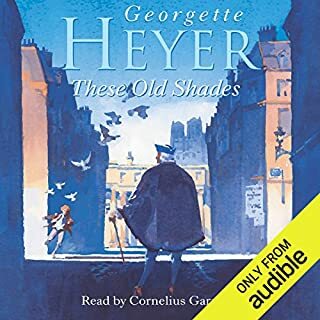 I enjoy my audiobooks immensely and often find that I return time and again to listen to one of the Georgette Heyer books (especially when narrated by Phyllida Nash) for comfort and known enjoyment. A good listen, soothing listen. I will listen in a year or so again . A good book, but I love Georgette Heyer. Georgette Heyer’s witty dialogue doesn’t disappoint. No strong female heroine, but enjoyable and entertaining as always.